High quality window and door replacement at affordable prices! Out with the old, in with the new. Our vinyl replacement windows are precisely sized and measured to fit inside the existing window jamb. The sashes and the stock molding are pulled out and the window slides into the existing frame. It's important to make your windows and doors as energy efficient as possible because they are part of the home's "building envelop", the physical boundary between the interior and the exterior environments. When windows and exterior doors aren't up to snuff in terms of energy performance, the home's energy efficiency suffers, and home occupants aren't as comfortable as they'd like to be. Vinyl, fiberglass and aluminum-clad windows have maintenance-free exteriors. Low-e coatings can help insulated windows retain heat in winter and limit heat gain during the summer. Like windows, exterior doors can also carry an ENERGY STAR® rating. Dr. Energy Saver by Eco Energy Solutions is your responsible home energy company within Massachusetts and Connecticut. We offer replacement windows and replacement doors in Longmeadow, Simsbury, South Windsor, as well as Windsor, Suffield, Granby, Tolland, Chicopee, Springfield, Wilbraham and all surrounding areas. 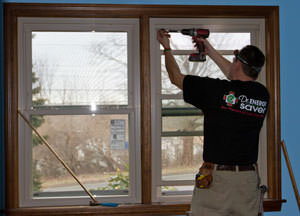 Dr. Energy Saver by Eco Energy Solutions offers both Massachusetts and Connecticut residents Free Estimates on replacement windows and doors. Removing the worn, inefficient units with new replacement windows and exterior doors will improve your home's appearance while improving home comfort. Contact us today for a free inspection and estimate in your house. Get A FREE Window & Door Quote Now! 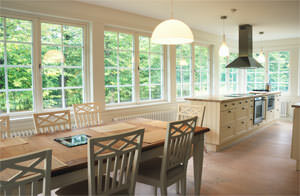 Upgrading your home with new replacement windows requires a trained professional to carry out the process. Since replacement windows are measured to fit snug inside the existing window frame, careful measurements must be made. One of our certified Dr. Energy Saver by Eco Energy Solutions specialists will carefully measure your existing windows properly with the sash and molding removed. All-vinyl, paneless replacement windows feature excellent benefits to your home, such as: energy efficiency, long-lasting durability, paint-free, easy-to-clean glass, and resistance to natural elements. Improve your home's appearance and efficiency. Our replacement exterior doors provide your home a durable and energy efficient entrance-way that also adds appeal to your home. The benefits of installing a new entry door go beyond sealing out the weather and improving your home's energy efficiency. Today replacement doors are designed clad with steel, vinyl or fiberglass and filled with foam insulation for maximum efficiency. Insulation, weatherstripping and insulated glass are the most important ingredients in an energy-efficient door, but the visible outer surface determines how good a door looks, how long it lasts, and how much it costs. Replacing an entry door is a great way to pump up any home's curb appeal. Our energy specialists will recommend a door that is pre-hung (door already installed in its frame) and one that qualifies as an Energy Star product. Pre-hung doors usually come complete with weatherstripping, exterior trim and side lites for natural lighting. Top-quality models look remarkably like traditional wood versions, but offer improved energy efficiency, excellent dimensional stability (resistance to warping and cracking), and weather resistance. Contact us today to schedule your free window and door replacement estimate. 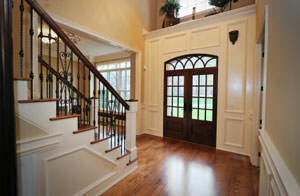 We can inspect your existing windows and doors to make sure your home is operating efficiently. Our service area is in the Northern CT, Berkshire County and Greater Springfield MA area including Longmeadow, Simsbury, South Windsor, Hartford, Granby, Suffield, Windsor, Wilbraham, Tolland, Chicopee, Springfield.